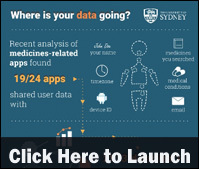 Sharing of healthcare user data by medicine-related apps is routine but far from transparent, according to a new infographic by the University of Sydney. 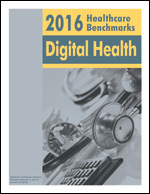 The infographic examines how health data is shared. 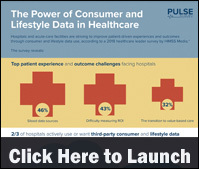 Posted in Digital Health, Health Information, Healthcare Wearables, Infographics | Comments Off on Infographic: Where Is Your Health Data Going? The rapid innovation in the use of wearables in healthcare and fitness is driving a clear shift from episodic to continuous healthcare, according to a new infographic by [x]cube LABS. 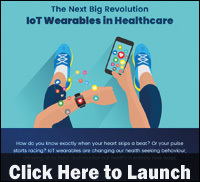 The infographic examines some of the most promising and value-driven innovations in the domain of IoT-powered wearables for healthcare and fitness. 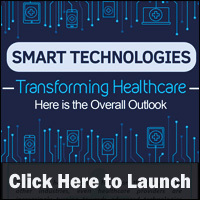 Healthcare providers are continuing to turn toward advanced technologies and the Internet of Things to improve care services, according to a new infographic by MedicoReach. The infographic examines the attributes of smart healthcare, barriers to smart healthcare adoption and provider response to these barriers. Some 62 percent of consumers agree that wearables will put people in control of their health, according to a new infographic by Racounteur. 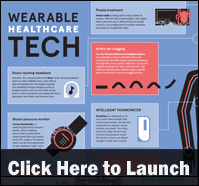 The infographic provides examples of a wide range of healthcare wearables, the most popular types of healthcare apps and insight into healthcare wearable trends. Are supermarkets the next wave of healthcare? Perhaps not, but if a health insurer can move into the community pharmacy, why not the local grocery store? On the heels of the recent non-traditional CVS Health-Aetna merger and amidst other swirling consolidation rumors, industry thought leaders are encouraging healthcare organizations to embrace similar partnerships and synergies. And given the presence of pharmacies inside many supermarkets, “there is potential for greater synergies around what we eat, what we buy and how our healthcare is actually purchased or delivered,” suggests David Buchanan, president of Buchanan Strategies. “The bonanza [from this merger] might be where data can be shared between CVS’s customers and Aetna’s customers and whether we can steer those CVS customers to Aetna,” he added. 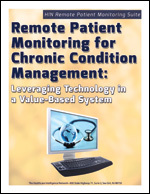 Buchanan and Brian Sanderson, managing principal of healthcare services for Crowe Horwath, sketched a roadmap to help healthcare providers and payors navigate the key trends, challenges and opportunities that beckon in 2018 during Trends Shaping the Healthcare Industry in 2018: A Strategic Planning Session, a December 2017 webinar now available for rebroadcast. Key guideposts on the road to success: data analytics, consolidation, population health management, patient and member engagement, and telemedicine, among other indicators. Also, organizations shouldn’t hesitate to test-drive new roles in order to differentiate themselves in the marketplace. “If you are not differentiated, you will not survive in what is a very fluid marketplace,” Sanderson advised. Honing in on the healthcare provider perspective, Sanderson posed five key questions to help shape physician, hospital and health system strategies, including, “What are the powerful patterns?” Industry mergers, an infusion of private equity money into areas like ambulatory care and emerging value-based payment models fall into this category, he suggested. 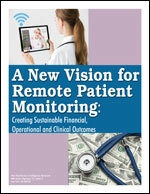 Following Sanderson’s five winning strategies for healthcare provider success, David Buchanan outlined his list of hot-button items for insurers, which ranged from the future of Obamacare and member engagement to telemedicine, healthcare payment costs and models and trends in Medicare and Medicaid. Offering members wearable health technologies like fitness trackers is one way insurers might engage individuals in their health while creating ‘stickiness’ and member allegiance to the health plan. Payors should expect some competition in this area. 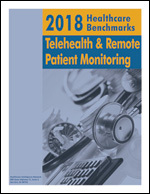 “I believe the next wave [of telehealth] will be hospitals expanding into local telehealth services as a lead-in to their local clinics,” Buchanan predicted. The use of artificial intelligence (AI) and robotics in healthcare is growing, but Buchanan and Sanderson agree that adoption will be slow. On the other hand, expect more collaboration between digital players like Amazon, Google and Apple and larger health plans. “You will see [synergies] when you can put those two players together: the company that can bring the technology to the table as well as those companies that bring the users to the table,” concluded Buchanan. Listen to a HIN HealthSounds podcast in which David Buchanan predicts the future of mega mergers in healthcare, the impact of the CVS-Aetna alliance on brand awareness, and the real ‘bonanza’ of the $69 billion partnership, beyond bringing healthcare closer to home for many consumers. 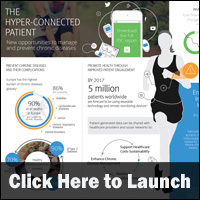 The hyper-connected patient provides a number of opportunities for healthcare organizations to manage and prevent chronic diseases, according to a new infographic by EMC2. The infographic examines three ways healthcare organizations can engage and promote health to connected patients. Infographic: What Will The Future of Healthcare Look Like? With the rise of digital technologies, such as artificial intelligence, robotics, virtual reality/augmented reality, telemedicine, 3D-printing, portable diagnostics, health sensors and wearables, the entire structure of healthcare, as well as the roles of patients and doctors, will fundamentally shift from the current status quo, according to a new infographic by The Medical Futurist. The infographic compares the current, traditional healthcare system, its structure and its roles with the modern healthcare system characterized by digital health. Posted in Digital Health, Health IT, Healthcare Trends, Healthcare Wearables, Infographics | Comments Off on Infographic: What Will The Future of Healthcare Look Like? Digital technologies are successfully revolutionizing the core functionalities of several industries, including the healthcare industry. From increasing patient engagement and staff productivity to bridging the provider-patient gap to facilitating better storage capabilities, digital health solutions provide endless opportunities for healthcare organizations to improve efficiency, according to a new infographic by TechJini. 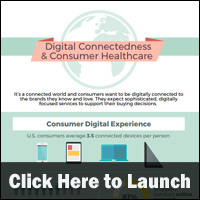 The infographic demonstrates how consumers are responding to digital health. As healthcare brands continue to grow and evolve, they must increase their digital presence in a strategic, digitally savvy manner, according to a new infographic by Paragon Solutions, Inc. The infographic examines the consumer digital experience and provides three key digital health strategies.